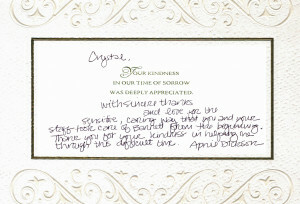 Your kindness in our time of sorrow was deeply appreciated. With sincere thanks and love for the sensitive, caring way that you and your staff took care of Barrett from the beginning. 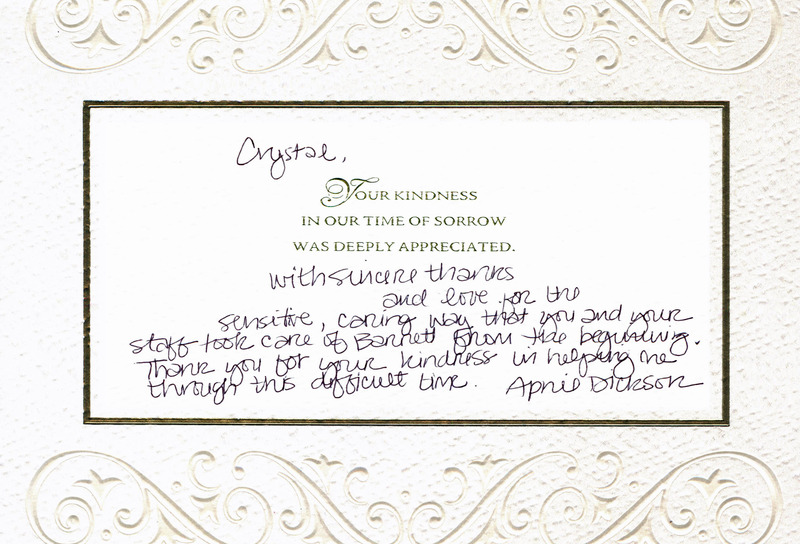 Thank you for your kindness in helping me through this difficult time.